When looking online at mattresses, I have come across the Simba Mattress. It is a foam and sprung mattress , sold in just one style but many sizes by Simba direct, but also by John Lewis since March. And there are RAVE reviews on both the John Lewis and Simba websites. They make some big claims about its suitability for all weight types and give a 100 day money back guarantee. A double sells for £599 and they claim they are as good as mattresses selling for £2k. For JL to become a sole distributor of them, means JL thinks they really are onto something and the number of 5* reviews in a very short space if time makes me wonder if this might just be revolutionary. Can you throw any light of these products? Many thanks? Oh and can you comment on the mattress range called ‘eve’ – it looks similar to Simba to me and Inwonder if it is the same firm. This is a really interesting question so thanks for raising it. 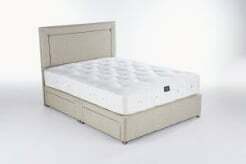 We have had a number of questions recently on the Simba and Eve mattress. Both Eve and Simba mattress models have recently received huge PR and marketing in the mattress world. Eve, in particular, was started, by venture capitalists, the CEO worked for Groupon, you may be familiar with their daily deals style approach. They are touted as ‘revolutionising’ the mattress world. Bringing innovation and cutting edge design. They are both sold in a box. With a 100 day try it or return it guarantee. They are both one-sided, read more on that here. They both feature fully sealed covers and snazzy labels. Hundreds of reviews and ratings for whether your pet likes it, your child, your gran, or a visitor to your house. I’m not sure that Eve and Simba are the same company, maybe check companies house, but it looks to be a similar approach to the product sales route. ie marketing and reviews. We also have to be careful with what we say as they usually have fierce legal departments, like Tempur, in protecting their very expensive marketed product. I’ll clarify here saying that the information here is based on what their website displays and our experience of ‘similar style’ mattress construction methods and not necessarily the methods they use to manufacture these. We have a detailed post on the mattress construction methods used in foam mattresses here. This will explain how these styles of mattresses are usually made. Firstly I’d argue that there’s no real revolution in the mattress industry. Let’s be clear that most mattresses have either springs, upholstery, foam or gels in these days. There’s only so many ways you can layer and combine these into the form of a mattress. In fact, mattress design hasn’t really moved on in the past 50 years if I’m honest. This is not a bad thing, it means that in reality the core design principles are as good as they can get. It’s the components that differentiate products and craftsmanship ie handmade vs machine made. A revolution to me is something like the Dyson or iPhone. I would argue that neither of these mattress products is breaking any mould in the mattress world in their construction methods, maybe in their foams,we have made similar construction mattresses for over 4 years now for example, there’s no patent on layering of foam or FEPS (foam encapsulated pocket springs) that is not to say they are poor products, but I find it hard to support a ‘revolution’ in their design methodology given foam layers and springs. So you are left with comparing the components of the mattress, materials, GSM and upholstery to really differentiate. Without details on their proprietary foams it is impossible to say. The biggest differentiator is the quality of the products within the murky world of retail mattresses. 90% of the mattresses out there are mass produced, using cheap synthetic materials foams and polyester, with bog standard spring units covered again in a synthetic super thin material. Where we differ from the 90%, is that we hand craft our mattresses, the old fashioned way. We are completely transparent with what’s in them gram for gram. We don’t trade mark secretive blend of polyester as ‘John Ryan hyper cool fibre’ we list it as polyester. For natural fibres, we talk in exacts, such as horsehair or cashmere being just that no filler or blending with cheaper materials. We don’t use a cheeky ‘blend’ of 5% cashmere and then list it as full cashmere. We just tell it like it is. This is something you need to be aware of as ‘Contains luxury wool fillings’ can, in reality, mean a blend of 2% wool 98% polyester. What a murky practice! We set ourselves apart with our ranges by including high quantities of fibres and using natural fibres in our Artisan top end range similarly to Vispring and Savoir, Britain’s premier handcrafted bed companies. The difference between the highly crafted and well-constructed mattresses, around the £2k mark, and the layers of foam in a mid point end mattresses £500-£700 cannot be compared in the same breath. As they are not like for like products. They use vastly different materials and construction methods. Where one is hand stitched, hand stuffed, hand teased and tape edged, the other is usually glued and then machine stitched into a cover. I could hand make you a foam mattress in about 30-40 minutes using machinery. A traditional hand made pocket sprung mattress with natural fibres and hand side stitching, you’re talking the best part of a full day. Most mattress retailers and their sales people have only a vague idea of what’s in the mattress, let alone how to design and actually manufacture one. For example, ask someone in a retail store how hand side stitching is performed, how long it takes for a king size and what needle they use and I bet you get lots of head scratching and ‘fluffy descriptions of stitching’. So I’ve drifted on now and best get back to some form of comparison! The Simba is a conical pocket sprung and foam topped mattress that comes rolled. We have never used conical pocket springs, there’s more on pocket springs here as its a topic in its own right. It’s a FEPS mattress by all account and it doesn’t state on their site whether the FEPS are completely encased, which our article here explains the importance of. It also doesn’t give me any detail on the foams densities or depths. There is a vast difference between a 40kg and 80kg foam, especially with the hardness ratings. I’d ask you investigate with them what the foam densities are, again an article here on which explains in my more detail. Simbatex, I have no idea what this is, it’s their proprietary synthetic latex from what I’ve gathered on their site. Our synthetic latex is laygel. There are no given densities or hardness ratings given, something which is essential to be able to compare. You would only opt for synthetic latex over real 100% natural latex for the price point as its far cheaper to manufacture which makes sense given the price of Simba. You simply can’t get 100% natural latex at that price point. Natural latex beats synthetic hands down every time, it’s more breathable, elastic and natural without the need for synthetic chemicals. I’d be cautious with rolled FEPS as we have had complaints of customers suffering from damage to the spring unit or it sticking together, especially if the adhesive used in sticking the foam layers together bleeds through into the pocket spring unit before its rolled and sealed. Maybe check what their curing time is before Simba box them, ideally 24-48 hours in my experience to ensure its fully adhered and dry. The Eve mattress features a support foam, like a reflex and then two or so layers of synthetic memory foam equivalent. I think Eve too has proprietary foam so I can’t comment on what’s exactly in it, as they won’t tell you. It’s probably very similar to our Hybrid foams. Hybrid foams can be excellent for pressure relief, but will always be hotter than natural latex or natural fibres such as wool and cashmere. The price point for hybrid mattresses represents this, though. Again please ask Eve the specifics if interested their customer service team are incredibly helpful in past experience. 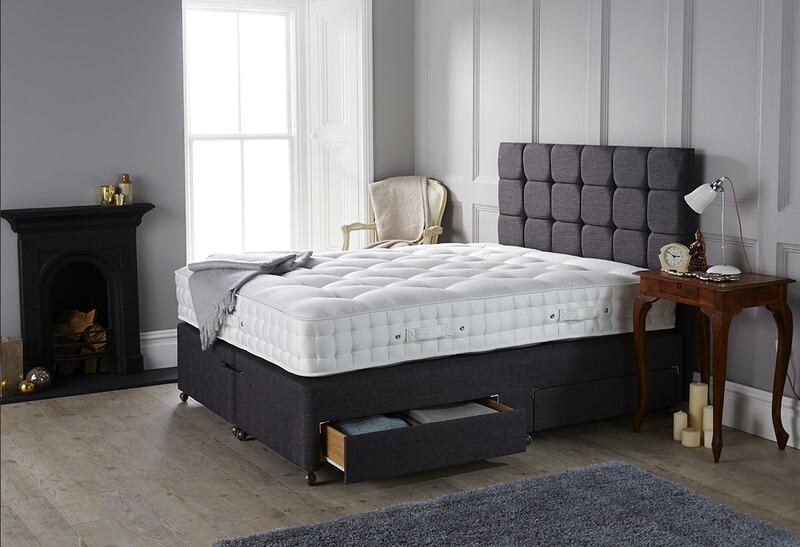 I’d say have a look at our Hybrid range for an idea of what we consider a high-quality foam mattress, they all come with separate toppers which can be turned to avoid the issues with one sided mattresses. Lastly whilst there maybe one type fits everyone mattress somewhere in the world. In all of our experience, we have never managed to find one. That’s because everyone is different. Ie finds a pair of shoes that suits everyone. Almost impossible! We prefer the made to measure approach of matching materials and spring units to give certain feels dependant on how you like to sleep. If you want more tailored advice please get in touch on 0161 437 4419. My daughter has a Casper mattress and she swears by it. I’m just wondering why you can’t sell your John Ryan mattresses rolled up in boxes? If they can do it why can’t you? None of our John Ryan mattresses can be rolled as there is so much upholstery within them. Also rolling up a Pocket sprung mattress can cause lasting damage to the spring system. Foam mattresses can be rolled and boxed for delivery but even then there is a limit to the time that they can stay rolled up for before damage occurs. The mattress enters a big roller which crushes the air out of the foam reducing its size drastically, putting it under stress it is then sealed in a bag, usually heat sealed, and then boxed. It means that a normally large sized mattress can be reduced to fit more on a lorry and make delivery easier for the customer. However, these mattresses are under great stress when in this position. They want to return to their regular shape and are constrained. Foam can tear, springs can deform and fabric can become stretched and rippled when you unroll them. I hope this answers your question, if you require any further information please do not hesitate to contact the office on 0161 437 4419.